Unit #4 - "The Glass Menagerie"
Unit #6: Media - "Brooklyn"
Unit #: "Lord Of the Flies"
Unit #4 - "The Merchant of Venice"
Unit #5 - "Inherit the Wind"
Unit #3 - "To Kill a Mockingbird"
Unit #4: "A Midsummer NIght's Dream"
Mr K is coming for the first ten minutes of class to talk to you about finding and applying for scholarships. In your notes, write everything you can remember from the first day of this class. Record sounds, smells, facial expressions, what you felt, temperature, etc... essentially everything you can remember! Action: Implications with memory...What can you remember? Read Scene #1 stage directions. Consolidation: Write down three pieces of evidence that demonstrate this is a memory play. Ballade Francois Villon, 1461 - "Where are the snows of yesteryear?" - "Why does love fade so quickly?" Learning Goal: I will continue to examine "The Glass Menagerie" and explore the importance of stage directions on my understanding of events, themes, symbols, and characters. Minds On: Recap implications of a memory. Consolidation: review the scene images and scene legends. Do you think they support your understanding of the play or distract you? Replace all screen images and screen legends in 2 & 3....With a partner, come up with screen image and legend ideas that you believe would contribute more effectively to your understanding of the play. HOMEWORK: You must complete the scene 2 & 3 discussion questions for tomorrow! Consolidation: You will have some time to complete the discussion questions. Please have up to Scene #4 done for tomorrow. 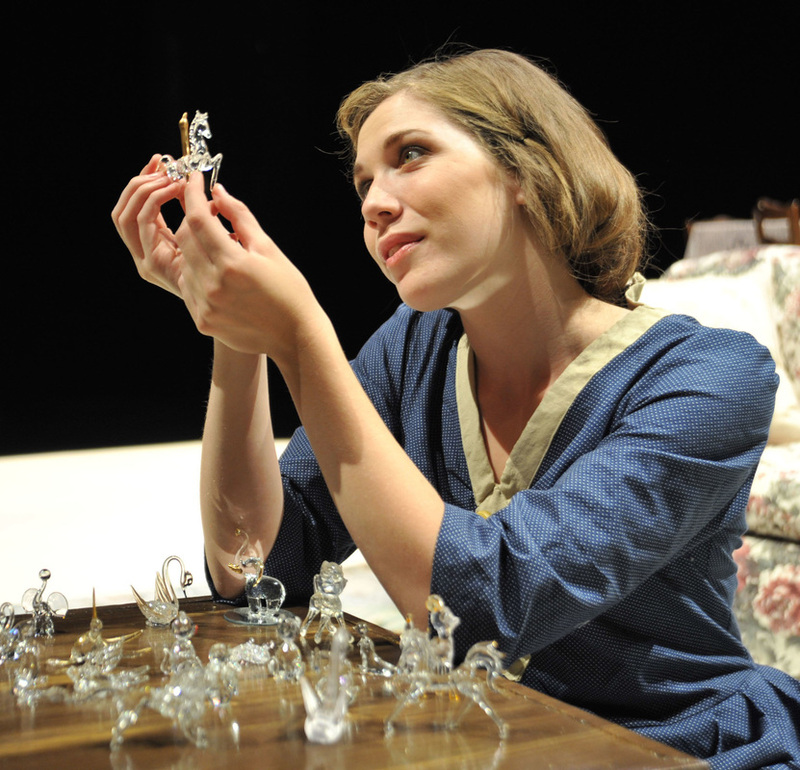 Minds On: What is a glass menagerie? What do you think the significance of the title is? Consolidation: Time to work on your questions. We will discuss these tomorrow and finish the play! 1. a collection of wild or unusual animals, especially for exhibition. 2. a place where they are kept or exhibited. 3. an unusual and varied group of people. Minds On: Reflection (to be handed in) Reflect on your reaction of Jim. How did you feel about him leading up to his confession? Explain your reaction to his revelation. Consolidation: GUERNICA, an international symbol of human suffering and atrocities of war - What do you think the significance of references to Guernica are? Examine Picasso's Guernica. Can you connect his impression of the tragedy to The Glass Menagerie? HOMEWORK: All of your discussion questions are due Monday! FYI: on April 26th, 1933, the German Luftwaffe and the italian Fascist Aviazione Legionaria bombed the Northern Spanish city of Guernica. At the time Guernica represented a strategic point. After heavy bombing and the death tolls somewhere between 300 and 1500, Guernica fell on April 29th. Action: Discussion - What is a young person’s responsibility to their family? What is their responsibility to their own dreams and future? How do you balance your individual needs with your responsibility to your family? How do you prioritize? How do you choose? We will watch a portion of one film version of "The Glass Menagerie". You will be expected to examine the use of light, music, and setting to compare to the play's script we read in class. Consolidation: Do you think the director was successful in expressing this story as a memory play or does this "play out" as a typical movie? What techniques did they use? Action: Using your ipad (or laptop if you chose to bring it) you will go on youtube and view a scene from TGM of your choice and compare it to the play. You will be expected to explain to the class why this is either the best version or worst version you could find! Review the stage directions for that scene and decide whether these were embodied in the film or not. Be prepared to show your clip and analysis with the class! Consolidation: Volunteers to share their analysis? Fri. 15th - Present poster to class!